Klaus Teege's Report 2014 - bei Licht für Afrika e.V. The pick-up in Dar-es-Salaam was organized by the team-leader of the new GIZ-project "Renewable Energies", Dr. Gerd-Henning VOGEL. In the same evening there were first talks about the planning of the mission in cooperation with the GIZ-project. Next morning (November 24) I rode to Njombe in a vehicle driven by the driver/interpreter Karim SANGA, both provided by GIZ, accompanied by the short-term consultant Gregor PROBST. 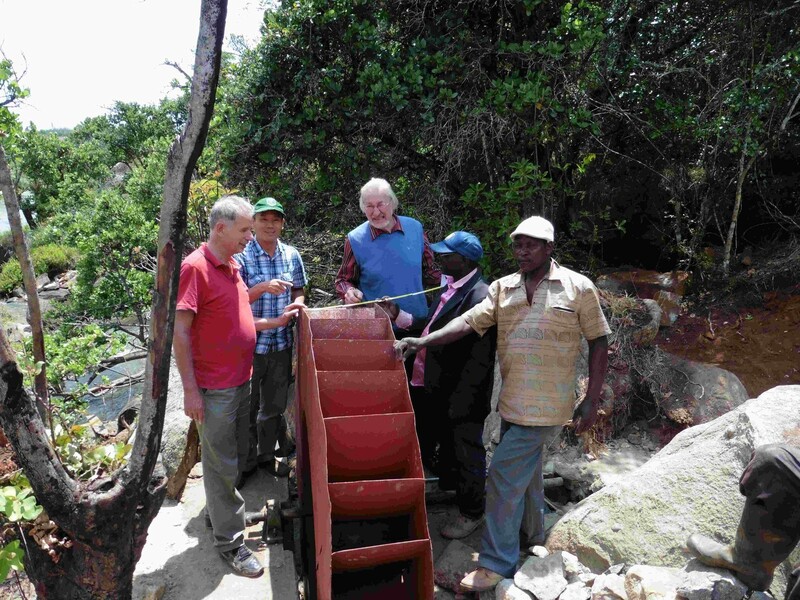 Gregor Probst took part in the mission as a short-term consultant; in future he might work as coordinator for small hydroelectric plants for the GIZ-project in Njombe and also look after the "Licht für Afrika"-projects. 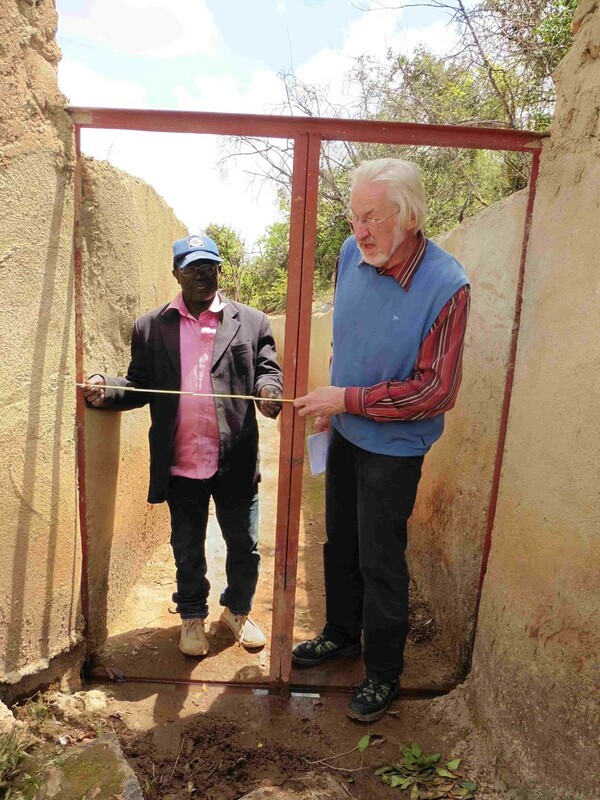 We had first talks with our partner in Njombe, JOHN FUTE, about progress in his work and various village projects. He has further recovered from an accident, can walk again nearly without the use of a walking-frame and his eyesight also has further improved (eye surgery). His workshop keeps successfully producing Hydro-Rams, water-pumps yielding a good profit. Besides there are some new village projects, for which he supplies steel pressure pipes and supervises the construction work. 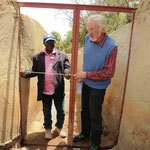 The biggest progress showed in the villages of IGOMENYI and LUDILO. In LUDILO the small power station ran for several months, albeit at reduced performance (appr. 10 kW output). At the moment the installation is broken, repair is scheduled. A bigger project, supported by UNIDO, is under discussion. IGOMENYI has installed the pressure pipeline, the headrace canal and the preliminary basin were improved and in the power house the foundation of the perfusion turbine is under construction with the outlet. In WANGAMA however, there was only little progress; the pressure pipeline has arrived, but there were problems with local politicians regarding John FUTE as insufficiently qualified for the job. The village project will reorganize. 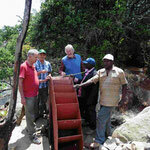 The steel water wheel in YAKOBI made by John Fute is installed and tested successfully, although at low performance. The building for the grain mill is momentarily under construction. MAKANJAULA has had a study made by a consultant and sent it to REA. We visited, together with the team of Dr. Gerd-Henning VOGEL, some of the new and scheduled projects. 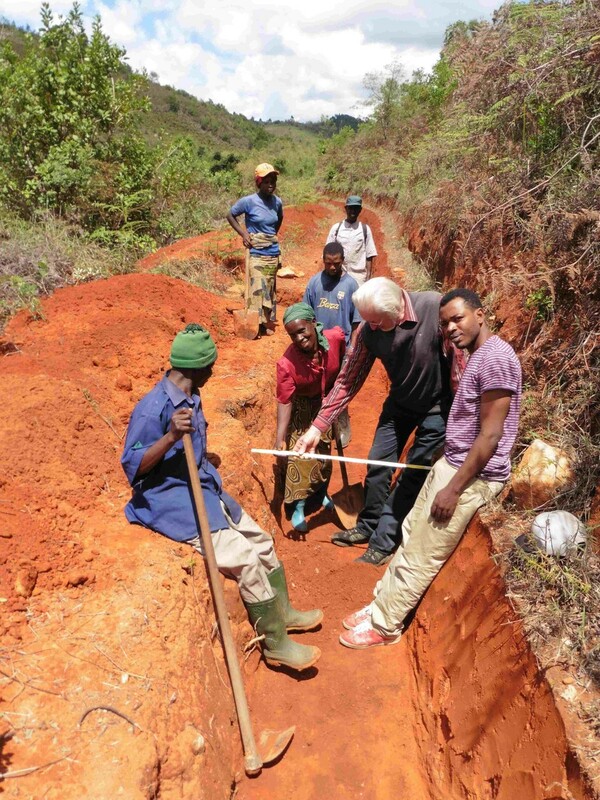 LIRONDO, a John Fute-project being located at the highway to Songea appr. 100 km from Njombe, definitively needs a powerful turbine as well as a switch cabinet (Brother Maximilian has also visited the project). In the diocese there were several talks including Dr. Gerd-Henning VOGEL, Br. NESTOR and his technical assistant Br. SEVERIN. On this occasion the planned assignment of a coordinator for small hydropower stations was very much appreciated and office-room was offered by Br. NESTOR. The diocese has projected several new big power stations which we should deal with on the occasion of a new mission. Talks with Godfrey NDEUWO centered on John FUTE's limited technical knowledge. An extensive visit to the DAR University Faculty of Engineering resulted in very favourable perspectives; for instance the construction of perfusion turbines seem possible within the workshops. Some prototypes are already running successfully; the project is co-financed by UNIDO. We have discussed the continuous close cooperation in the future with the GIZ team leaderleiter Dr. Gerd-Henning VOGEL and the GIZ project manager Sven ERNEDAL.